This charger is a very small 18650 charger, it need an external USB power source to charge, and can also work as a USB charger / power bank. It only charges one battery at a time. The charger has been on the market a long time with frequent updates and not all updates successful. First time I looked at it, it was good, second time it was bad, third time it was fine again and this time? As a new function the charger has a "fuel gauge", the number of green leds inside the charger shows how much power is in the battery. This gauge lights up when a battery is put into the charger. When charging one led in the gauge will flash the rest will show charge state, when discharging (i.e. used as power bank) it will only show charge state there is no flashing. The top side of the board. Everything is basically controlled by one chip. When not connected to power it will drain about 3mA from the battery when the gauge is lit and 0.1mA when not. Below 0.5 volt the charger will not charge. 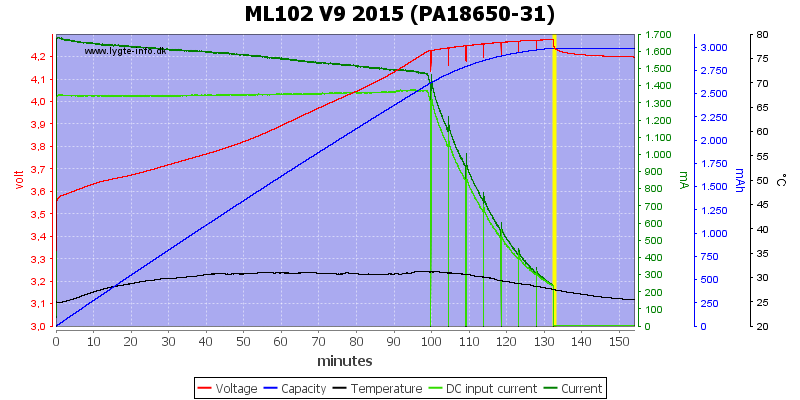 Between 0.5V and 3.2 volt the charger will charge with 200mA down to 100mA at 3.2V, gauge will show charging. 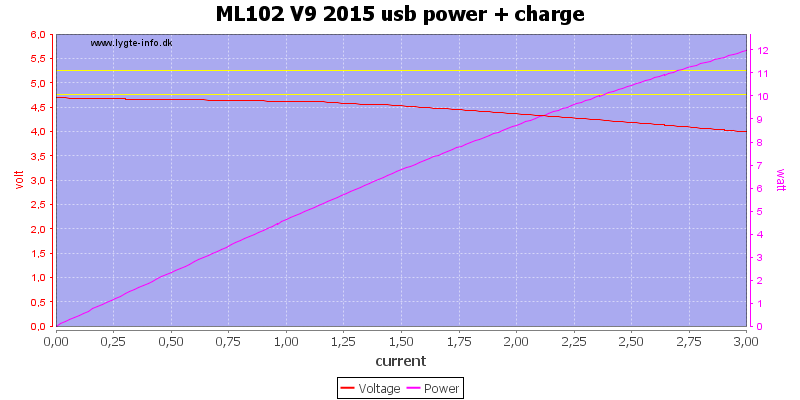 Above 3.2V the charger will use full current. 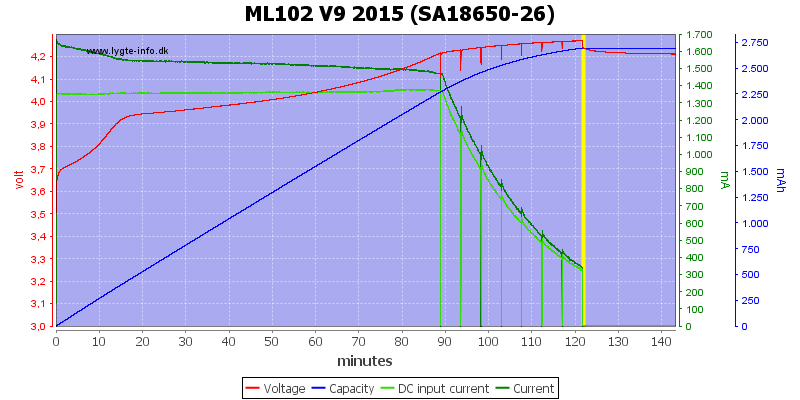 At first glance it looks like a CC/CV charge curve with a high termination current. Both the charge voltage and termination current is fairly high, this gives a fast charge and the two probles balances each other out to give a good final voltage. The problem is that the charger measures voltage with current off and then terminates when it reaches 4.2 volt, this is not the correct algorithm for LiIon batteries. 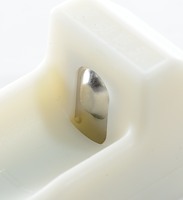 Because termination is voltage controlled, the termination current will vary with the battery. 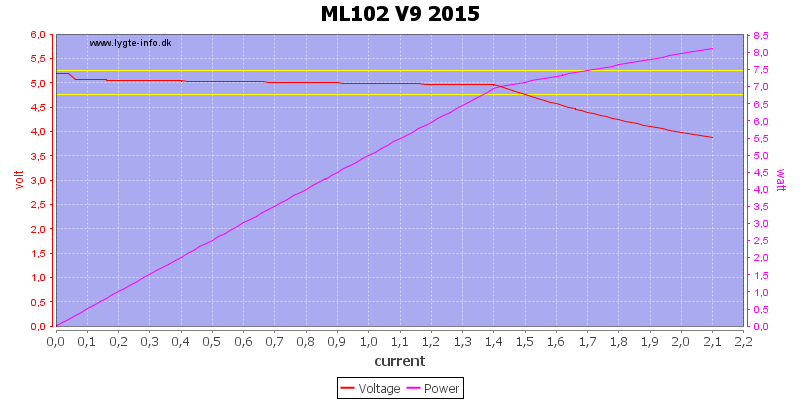 Simulating a weak charger made the ML102 charge the battery with reduced current, i.e. longer charge time, but it did termination when battery was full. This charger runs very cool when charging. The charger is a fairly dumb charger, this means fast initialization. 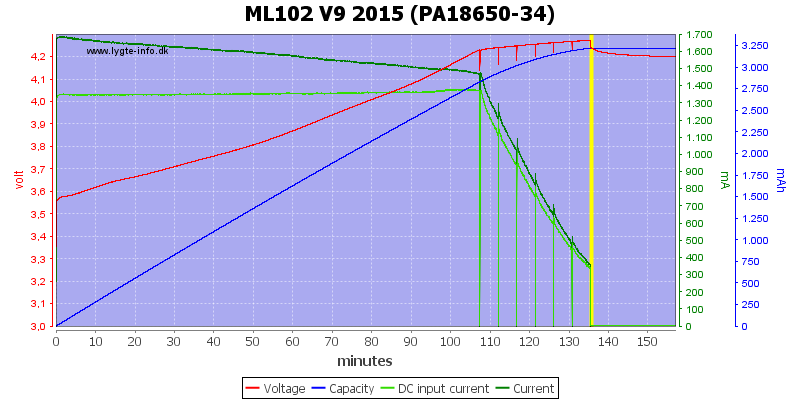 When the charger reach the CV phase it will start using pulses to measure the battery voltage. This is not a real CC/CV charge. There is nearly 5 minutes between the measuring pulses. 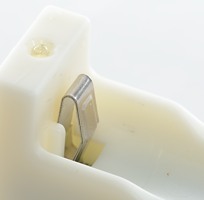 The gauge inside the charger is used to show battery charge state. Usb output will be turned off when battery is down to 3.0 volt. Usb output will turn off after 40 secods with 70mA or less load. Usb output turns on when output is loaded. The blue led is on when usb output is delivering current. 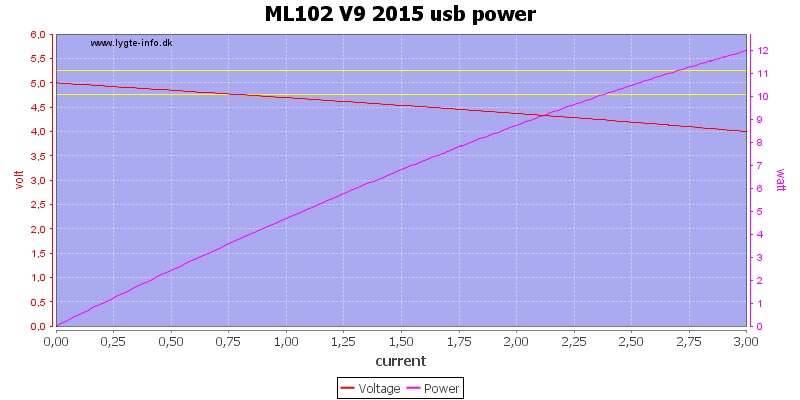 USB output can be used as ups, but notice the lower voltage when running on usb supplied power. 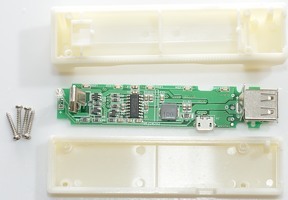 The usb output can deliver 1.4A with a new battery before reducing the output, overload protection kicks in at about 2.1A. 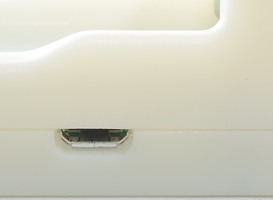 When the charger is powered the usb output is depend on the external power usb supply. Notice the lower voltage and higher current capability (Overload protection must be handled by external usb power supply). 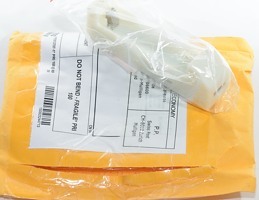 It can also charge while usb output is active, but charge current will depend on usb load. 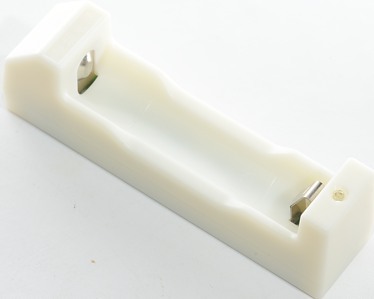 It works very fine at 0.5A load, good efficiency and stable voltage until the battery is discharged and automatic disconnected. Same with 1A load. The output drops slightly the last few minutes. 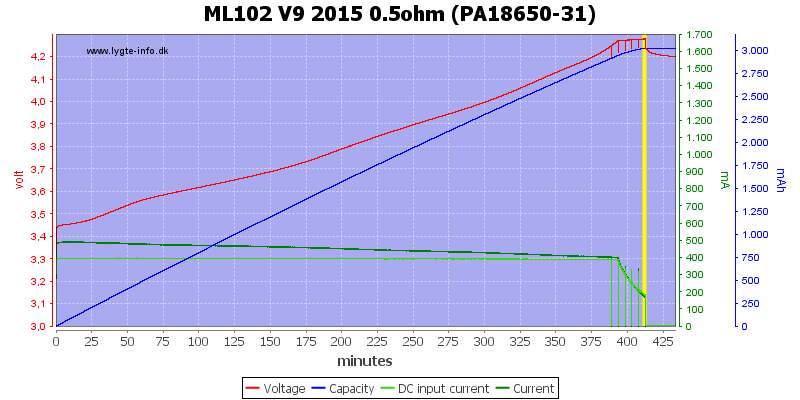 With 0.5A load the noise is very low at 10mV rms and 38mVpp. 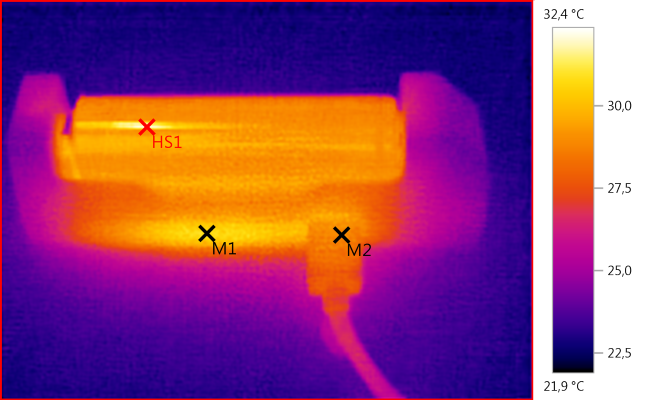 The noise is basically the same at 1A load at 11mV rms and 38mVpp. I am not really impressed with this last update to the charger. The charging algorithm is not the recommended for LiIon and goes outside the specified charging parameters. I expect it to work fine, but probably costing a small amount of lifetime for the LiIon cells. The power meter is a nice addition. 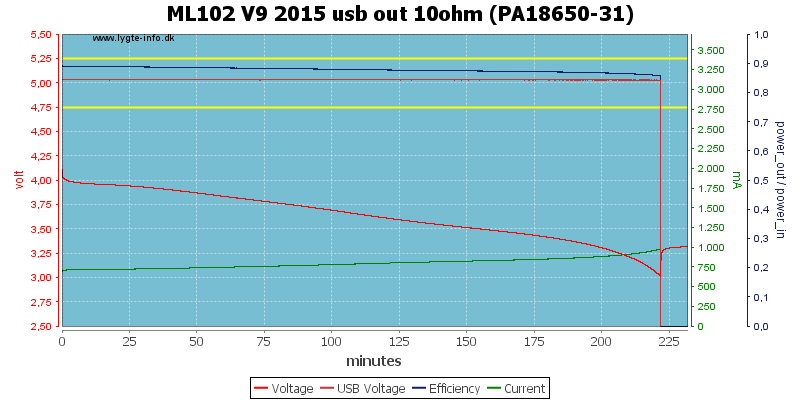 The usb output works very well up to 1A, at higher current it will have trouble when the battery is nearly empty. 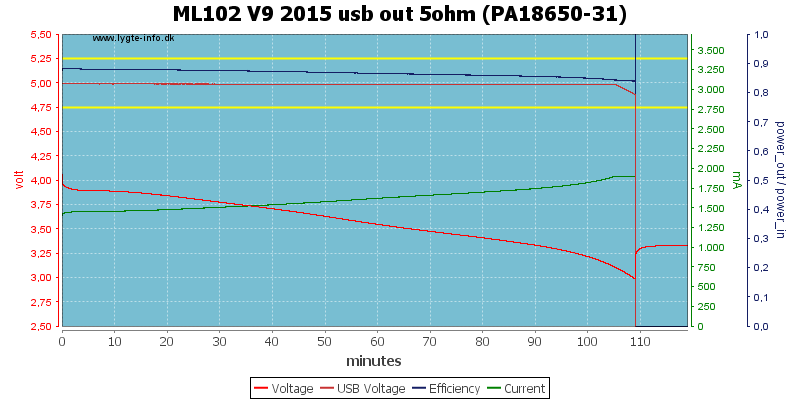 The possiblity to pass power from usb input to output is useful, but the low voltage may be an issue. Due to the strange charging algorithm I will only give it a final rating of acceptable.